The DCU Students’ Union sabbaticals sit anxiously in the waiting room of The Garda National Immigration Bureau. It’s a small, stuffy room and they are the only people present as supporters. Everybody else around them is waiting to see if they will be deported from Ireland or if they will be allowed to stay. After a 20 minute wait, DCU student, Shepherd Machaya, returns from his hearing and it’s clear from his face that he is fatigued by the last few weeks. He has been told by The Department of Justice and Equality that his deportation has been extended until the new year. He tells the sabbaticals that before entering the bureau, he thought he would never see them again. Machaya is one of the few asylum seekers in Ireland that was granted the opportunity to attend third-level education in Ireland. The process that people living in direct provision go through to attend an Irish university is often criticised by refugee activists and the applicants themselves. It’s known as the pilot support scheme, which was introduced in 2015 by then Minister for Education Jan O’Sullivan. She now openly criticizes the scheme and what it has manifested itself into being. There are many requirements to meet to be eligible to apply for third-level as an asylum seeker in Ireland. The applicant must be an asylum seeker for a minimum of five years. The applicant must also have attended at least five years in the Irish school system and have a Leaving Certificate. Those with a deportation order against them are not eligible for this application. While this may be an excellent opportunity for refugees in Ireland, the reality presents a lot more obstacles. This has proven to be a tedious process to go through for people living in direct provision. The language barrier proves an even greater challenge when living in this basic accommodation. With the inhabitants not being allowed to leave the direct provision, they are unable to integrate into society and develop their English. 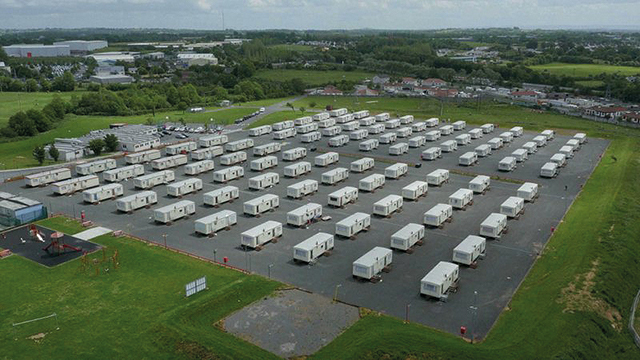 Asylum seekers are given €21.60 a week by the Irish government. Machaya, for example, attends one lecture on DCU campus every Saturday. This means that transportation costs alone can completely consume his weekly income. This puts pressure on the universities then to fill in the gaps where the government fall short. The university had to provide Machaya with a laptop and mobile phone in an attempt to help him keep up with his studies. With all these challenges facing asylum seekers looking to access university, the results of this scheme can be disheartening for the applicants. The first year of the scheme only saw two asylum seekers being eligible for university out of the 39 that applied. In 2016, only one student was accepted out of 15 applicants. In total, only five asylum seekers have been accepted into third-level education in Ireland since the pilot scheme was first in place. The Irish Refugee Council has since called on the government to reduce the five year requirement to three years. This is in an attempt to encourage the currently depleting number of applicants to apply to the scheme. This year was especially discouraging for asylum seekers who managed to have successfully applied to enter into third-level education. The scheme was stalled until the third round of CAO offers, which meant most of the college courses were already filled up. The Higher Education Authority said the delay was due to “applications being reviewed form different areas” and had knocked this on to the third round. The previous two years that this same system was in place the department had managed to get the asylum seekers applications in on time. The Department also added that they felt this was not a disadvantage to the applicants because so few of them applied anyway, it would not affect the CAO system. “Our nation is not looking after asylum seekers, even ranging from basic welfare. And education falls under basic welfare,” SU President, Vito Moloney Burke, said. The campaign gained over 14,000 signatures to prevent the DCU student from being deported back to Zimbabwe. “[Shepherd] is gunning for a job in the tech sector. This is an understaffed sector,” Moloney Burke said as he expressed his frustration with the system of granting access to asylum seekers into third-level education. Universities such as DCU, University of College Cork and University Limerick are among many colleges trying to make third-level education more accessible to asylum seekers in Ireland. The Universities of Sanctuary is a system now in place which aims to welcome refugees and asylum seekers to third-level education. This is done various schemes such as grants, facilities and accommodation etc. DCU became the first university in Ireland last year to commit this system and make their university more welcoming for people in direct provision. The university set aside 15 academic scholarships for asylum seekers, which is how Shepherd became a student. A Mosney book club was established which provides books for people living in the direct provision centre who are unable to borrow books from public libraries. The Languaculture space initiative was established to provide a platform where students can teach beginner level English to people in direct provision. Last year saw the first DCU Refugee Week, where events were held throughout the week to raise awareness among students and staff. DCU President Brian McGrath said “our designation as a ‘University of Sanctuary’, while very welcome, is not a final destination in itself, however, rather it is an important marker on a journey. We are driven on this journey by being true to our values of inclusion and equity of access to education”.